When you pay your taxes on time and are honest about your income, you assume you have nothing to fear from the IRS, but some taxpayers recently learned differently. After the IRS seized large amounts of money from innocent businesses owners, Commissioner John Koskinen was forced to appear before the Ways and Means Committee and stand accountable for the recent aggression. According to Koskinen, the IRS believed the businesses in question were hiding large deposits of money which federal law requires they report. His special agents felt that the businesses were violating the law by breaking up large deposits into smaller amounts, so that they didn’t have to be reported. Essentially, they believed the businesses were guilty of tax evasion. The hearing highlighted a large problem with current tax laws, including the fact that the special agents were allowed to seize the assets based simply on the fact that the business made several small deposits that did eventually add up to $10,000 even though in this case there was no further evidence to indicate that the business was making the small deposits in an attempt to avoid paying taxes. Businesses in a variety of industries and a variety of locations had their assets seized. The IRS targeted a dairy farm in Maryland, a gun store in Georgia, a restaurant in Iowa, and a candy store in New York. In each case, the businesses found themselves facing some tough decisions. They could either go to Tax Court and hope the trial went their way or they could agree to a settlement that would allow them to get a portion of their money back while letting the government keep the rest of it. Neither option is a good one for a small business that struggles to make ends meet. While it’s terrible that the owners of these businesses had their professional and personal integrity tarnished while also having to deal with the seized assets, some good has come out of the situation. By forcing Commissioner John Koskinen and the rest of the IRS to admit that they handled each of these situations badly, the IRS has to reevaluate how it handles the seizing of business assets. In 2013, the IRS reported that 217,000 of the filed returns contained fraudulent information, but they failed to mention how many of the issues were honest errors, or how many times the system they used targeted a business or individual unfairly. 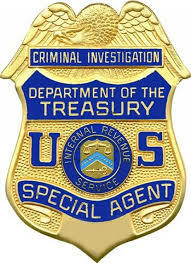 Whether you’re an individual taxpayer or the owner of a business that has been targeted by the special agents employed by the IRS, you shouldn’t try to handle the matter on your own. You need the help of a good tax settlement attorney. Tax settlement attorneys have two advantages that you won’t have on your own. They understand how tax law works and will be able to quickly determine if you, like the owners of these businesses, have been illegally targeted by the IRS. The second advantage the tax settlement attorney has is the ability to resolve the matter in a timely manner, before it has an opportunity to ruin your life. If you need help from a tax settlement attorney, visit IRSmedic.com today!